Have you ever participated in a triathlon? I certainly have NOT. In fact, I'm admittedly not the most "athletic" person around. I don't run, or jog or swim....but I did dance for 20+ years and that counts for a lot! That said, I know I'm not the only one who doesn't get enough physical activity into their daily regimes. Studies now show that kids need 60 minutes of moderate to vigorous physical activity each and every day. Exercise is not only good for the body, but it's good for the brain, too. Not to mention the possible prevention of disease and obesity in years to come. 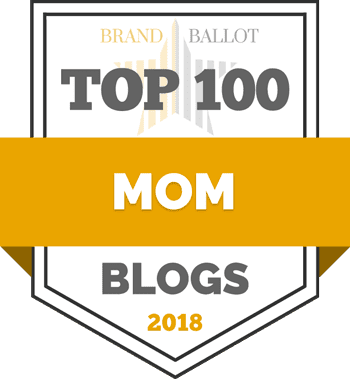 As parents, it's our job to get our kids moving. And because kids learn from their environment, we need to lead by example. The TriFUN event series provides a supportive, family environment that celebrates individual achievement through the great sport of triathlon. 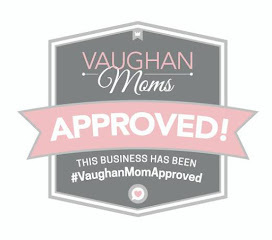 TriFUN is bringing this awesome event to Vaughan on June 22, 2014! There are 4 other races taking place across the GTA on various dates in the communities of Guelph, Oakville, Mississauga and Milton. To register your child(ren), visit this link. Tri-FUN offers a race day for kids aged 3-13, fun goodies for athletes including t-shirts, medals, freebies and more, plus a fun zone to play in after the race! To help celebrate the launch of the TriFUN Kids Race season, we're having a party -- a twitter party that is! 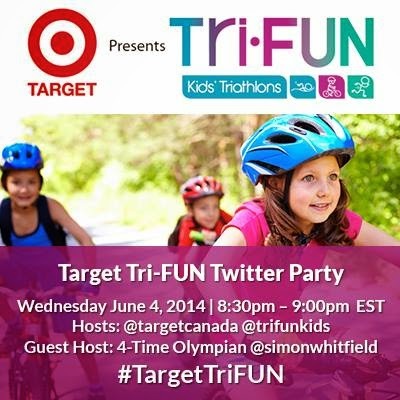 Join guest host, four-time Olympian Simon Whitfield, on Wednesday, June 4 from 8:30-9:00 p.m. and win awesome prizes courtesy of Target Canada and TriFUN Kids! Add your name to RSVP RIGHT NOW! HERE'S ANOTHER SUPER WAY TO WIN! Enter to win 1 of 2 #TargetTriFUN kids prize packs valued at $250 each. Each prize pack will include items from Target, Lego, C9 and two Tri-FUN registration passes. Canadian residents only. Contest closes June 18, 2014. My daughter loves to ride her bike. My daughter likes to play on the playground equipment. Going to the playground and going on the swings.